The 2018 Show was a great success – details for the 2019 show will be posted nearer the time. Results from the show are also available below. Results from the 2015 show are available here. Results from the 2016 show are available here. Results from the 2017 show are available here. Results from the 2018 show are available here. Entry forms must reach the secretary by Tuesday 4th September 2018. Late entries may not be accepted. We regret that we can not accept new entries on the day of the show. There will be an outdoor Children’s Treasure Hunt. There will be a display of pictures to mark the ‘Ruby Anniversary of the Show’. Cheveley Arts & Craft Group will be putting on an exhibition of their work. 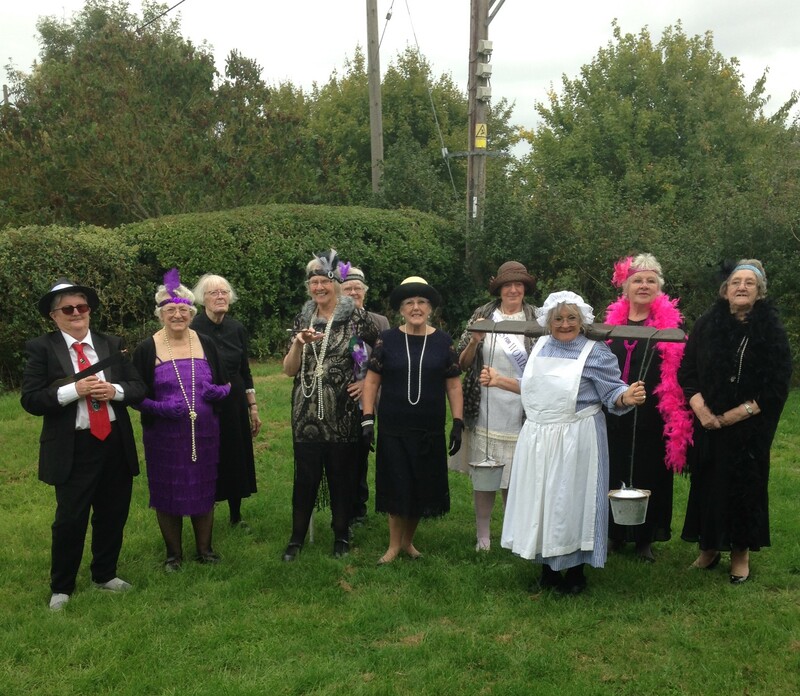 The theme of this years exhibition is to be ‘The Roaring 20’s’. They will reproduce advertisements, decorations and clothing from the period. There will also be Teas, a Raffle, and a ‘Bring & Buy Stall’ selling vegetables, fruit, plants, preserves and cakes. All exhibits to be the property and/or unaided work of the exhibitor. No exhibitor will be allowed to make more than one entry per class. No entry previously shown in the Kirtling show will be accepted. The Committee will appoint judges whose decision will be final. The Committee has the right to enquire into the source of supply of any exhibit. The Committee cannot accept any responsibility for loss or damage to property of any exhibitor at or in transit to and from the show. Any objection must be given in writing to the secretary before 18th. September 2017 accompanied by a deposit of £1 which will be refunded if the Committee upholds the complaint. Exhibitor’s will pay 50p for the first two exhibits and 30p for the rest. Children’s classes entries are 10p. Each entry will be given a number which will be displayed on the exhibit. The exhibitors name will be written on the reverse side, not to be displayed until after the judging. Entries for sale will be given a coloured marker for identification. With the exception of special W.I. classes, all classes are open. Classes 30A, B, C, D, E and F will not be in the competition for trophies. 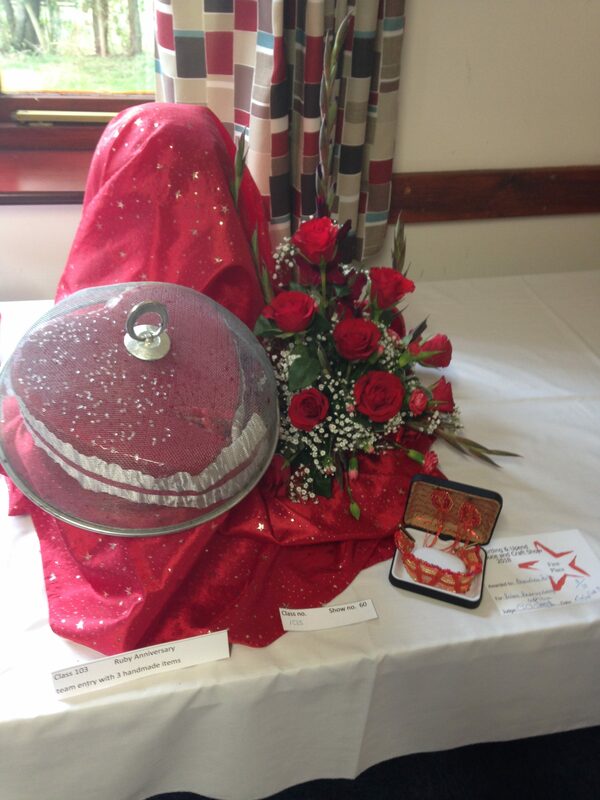 Each class will be judged for 1st, 2nd, 3rd places and highly commended where applicable. Certificates will be awarded for exhibits gaining 1st, 2nd and 3rd and ‘highly commended’. 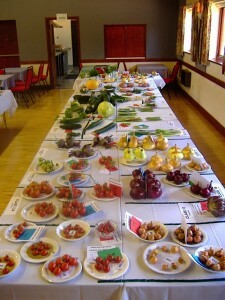 THE HOBBS CHALLENGE CUP- Garden Produce Section (Section I). THE WORSLEY CHALLENGE ROSE BOWL- Flower Section (Section II). THE FLOWER TROPHY – Best in Show (Section II & III). Entry forms must reach the secretary by Tuesday 4th September 2017. Late entries may not be accepted. Exhibits MUST be in place before 9.15am on Saturday 8th September. Judging will take place between 9.30a.m. and 12.30pm, when exhibitors and the public may not be present except under special circumstances. Exhibits will not be accepted after judging has started. The premises will be open on Friday evening (Sept 7th) from 5.0pm to 6.0pm and from 8am, on Saturday 8th Sept. The show will be open to the public at 2.00 p.m.
Prizes and trophies will be presented at 3.30pm approximately. The sale will continue, and the raffle drawn. Exhibits must be removed by 5.00p.m. Unclaimed exhibits will be disposed of as the committee sees fit. Any queries should be made to the secretary. 9 Onions (white) kitchen table (4 seed or set). 10 Onions (red) kitchen table (4 seed or set). 55 Flower arrangement ‘Ruby Anniversary’. (24ins x 24ins. max). 57 ‘Glorious Grasses’ (12ins by 12ins max, with a maximum height of 24ins). 60 Arrangement of home flowers in a child’s Wellington boot. All food must be homemade. All cooking must be on a plate and must be covered with cling film. Jam, marmalade, pickles etc. must be in clear glass jars only. Jars and bottles must be clearly labelled as to content and date of making. Ideally, preserves should be sealed using a new twist top or pliable press on cover. These should be put on freshly potted preserves immediately each jar is filled, when hot – wax discs not required. Alternatively a wax disc placed smooth side down, trimmed to fit the rim of the jar and the surface of the preserve, will cause an airtight seal when cooled, and only need a cellophane cover put in place when the preserve is cold. 76 Victoria Sponge with jam filling. 79 Knitting (article other than a garment). 92 A Shrug (any medium). Section VII – Junior Classes – Not Adult Directed Please. All entries in these classes must be the unaided work of children (1), up to 8 years of age and (2), 9 to 14 years of age inclusive (age to be stated). 105 Royal Wedding – Rich Fruit cake, Iced and Decorated’ (8ins. diameter). 106 Royal Wedding — ‘Corsage’-(using fresh flowers). PASTRY: Mix flour and salt in a basin and rub in the fat. Using a knife to cut and stir, mix with cold water to form a stiff paste. Turn the paste onto a floured board, and roll out. Line an 18cm sandwich tin with the pastry. 150g onion thinly sliced, 125ml milk, salt and pepper..
Place bacon and onion in the pastry case, followed by the cheese. Beat eggs and milk together, season and pour over the cheese, bacon and onion. Bake in a moderate oven 190C, 375F, Gas mark 5, until set and golden brown, about 40 minutes. PASTRY: Put flour into a bowl, add fats cut in small pieces and rub in with finger tips until the moisture resembles fine breadcrumbs (or use a food processor). Mix the egg yolk, sugar and water together, stir into dry ingredients and bind them together. Roll out the pastry, and using a 3in (7.5cm) cutter, cut out 18 rings and line bun tins. Chill in fridge for 30mins. FILLING: Beat the eggs and sugar together until blended, and pour on the hot (not boiling) milk, stirring all the time. Pour the mixture carefully into the pastry cases and grate a little nutmeg over the top. Bake in a hot oven 220C, (425F), Gas 8 for about 10 minutes until the pastry has set then reduce heat and cook in a moderate oven 160C (375F) Gas 3 until the custard is set-about 30 minutes. 1 teasp. Bicarbonate of soda. 3 teasp. White wine vinegar. Preheat the oven to 170C (325F) Gas 3. Put the butter and sugar in an electric mixer (or use a hand held electric whisk) and beat on medium until white and fluffy, and well mixed. Turn mixer up to high speed, slowly add eggs and beat until everything is well incorporated. In a separate bowl mix together the cocoa powder, food colouring and vanilla extract to make a thick, dark paste. Add to the butter mixture and mix thoroughly until evenly combined and coloured. Turn the mixer down to slow speed and slowly pour in half the buttermilk. Beat until well mixed, then add half the flour and beat until everything is well incorporated. Repeat the process until all the flour and buttermilk have been added. Scrape down the side of the bowl. Turn the mixer up to high speed and beat until you have a smooth even mixture. Turn the mixer down to low speed and add salt, bicarbonate of soda and vinegar. Beat until well mixed, then turn the speed up again and beat for a couple of minutes. Divide the mixture evenly between three greased 20cm cake tins, and bake for 25mins. Cool. Beat the icing sugar and butter together in an electric mixer, (or use a hand held electric whisk) on medium-slow speed, until the mixture comes together and is well mixed. Add the cream cheese in one go and beat until it is completely incorporated. Turn the mixture up to medium-high speed. Continue beating until the frosting is light and fluffy, at least five minutes. Divide the frosting into three and sandwich the cooled cake layers together. POTATOES: Medium and uniform size. Well and evenly shaped, clean and speckless. Few eyes. ONIONS: Good even size, thin necked, firm and clean but not over peeled. Free from blemishes. TOMATOES: Good even, medium sized, ripe firm, rich coloured, glossy with calyces attached. APPLES & PEARS: Shapely, solid, with eyes and stalk intact. Clear unblemished skins of good colour and variety. Clean but not polished. 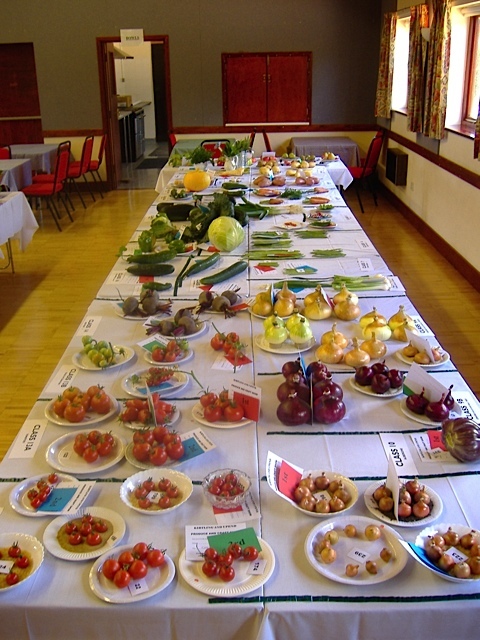 COLLECTION OF VEGETABLES: In addition to points given for the above qualities, marks may be awarded for cultural difficulties in growing the different kinds displayed, when they are to be compared. FLOWERS: Fresh, free from damage by pests or weather. In the most perfect stage of beauty as possible. CONDITION means cleanliness, freshness, tenderness and freedom from coarseness or blemish. SIZE means anything not so overgrown as to be coarse or faulty or anything not too small to be useful. UNIFORMITY means alike in size, form or shape, and colour. CRAFTS. Remember that a fresh or recently made item will attract far better marks than an old or used one.